The Greens are excited to be fielding a record number of candidates for the City of Glen Eira Council elections to be held in October this year. 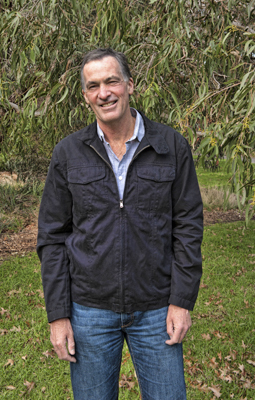 Neil Pilling, current Rosstown ward Councillor and City of Glen Eira Deputy Mayor, is standing again and is joined by Wilmars Mikelsons also for Rosstown ward, Thomas Sounness for Camden ward, and Rose Read and Brett Hedger for Tucker ward. With such a strong line-up of endorsed Greens candidates, The Greens are optimistic of gaining extra positions on Council and working to build a better Council for the City of Glen Eira. Bayside-Glen Eira branch co-convenor, Jeannie Marsh, said ‘the Greens have endorsed a solid team of candidates representing a wealth of talent and a strong commitment to the people of Glen Eira’. Candidates come from a varied range of backgrounds and together have experience in areas including education, business, community services, urban planning and more. Most have lived in the City of Glen Eira for many years and some have raised families in the area. All are well connected to their local community and regularly interact with other residents through volunteer work with community service, educational and sporting organisations, and by participating in local activities such as dog walking groups. 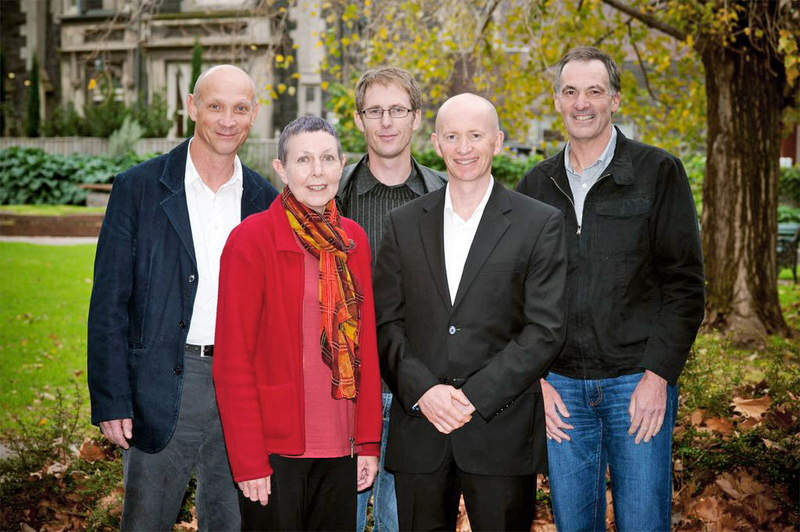 ‘The Bayside-Glen Eira branch of the Greens is thrilled to be putting forward such a strong team for the upcoming Council election’ Ms Marsh said, adding that she is ‘confident that residents will welcome the opportunity to make a difference in Glen Eira by electing Greens Councillors who are committed to the community and to delivering healthy, safe and liveable neighbourhoods’. For further information and comment, please contact the candidates directly. See additional candidate comments and contact details below. Wilmars Mikelsons has lived in Glen Eira for more than 20 years, is a teacher at a local secondary school and has raised his family here. His three children have attended local schools and participated in local sporting clubs. He is a keen gardener, loves cycling and watching his son play junior footy and basketball. 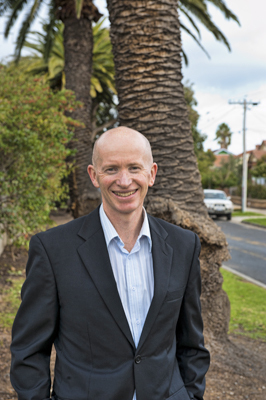 He says Glen Eira is a great place to live, and is running for council because he believes that ‘a strong community voice is needed to ensure Council retains and improves facilities, services and parks’. He is committed to ‘listening and acting on community concerns; supporting families, young and old, with well planned and needed services; enhancing the health of our community and environment; and retaining and improving the Carnegie Pool’. 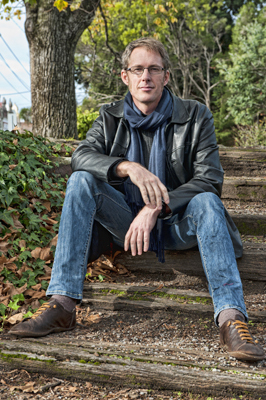 Greens candidate for Camden ward, Thomas Sounness, believes Green representation on Council will contribute to healthy, safe and liveable suburbs. He has wide experience in urban planning, small business development, international trade, farming and IT. He lives in South Caulfield, where he can be seen taking his dog on daily walks. Mr Sounness also enjoys gardening and volunteers his time to assist frail and disabled residents with their gardens. Mr Sounness said he is ‘committed to building social and environmental resilience’ and believes that ‘to achieve this, and to maintain the City’s liveability, foresight and good planning is needed’. He is committed to work hard to ‘support access to valuable social services; rejuvenate and revitalise our characteristic retail centres; prevent waste and improve Council transparency and effectiveness’. ‘I’m also committed to supporting better, more efficient and effective transport options in the City’ he said. 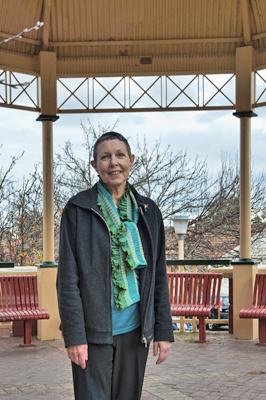 Rose Read is an active community member and resident of Bentleigh. She is a representative on Council’s Environment Committee and works with local government and businesses across Melbourne to improve energy efficiency. She is also an experienced manager of services for children and families. Ms Read said ‘I love living in Bentleigh, where I raised my family and know the community well’. ‘We need a lively, engaged and healthy community for everyone,’ she said. She is standing as a Greens candidate for Council because she wants ‘to see a council that listens and works with community members to improve planning for people and the environment’. She is committed to ‘expanding childcare and kindergartens in the area; actively involving residents in neighbourhood planning and services; providing more open space, adventurous playgrounds and events for all ages; and ensuring better access to activities and services for older residents’. Brett Hedger is a qualified accountant, teacher, IT specialist and sustainability professional who lives in McKinnon with his sons. ‘Community service is a high priority for me and I am ready for the challenge of representing our community’, he said. He believes ‘our city needs a clear vision that guides and shapes all our futures’ and that ‘our city needs to be safe, clean and healthy’. He has pledged to work hard to ‘create a Council that works in harmony with the community; to improve public transport; preserve and expand our open spaces; and balance the needs of development with preserving neighbourhood character’. This entry was posted in Uncategorized on July 26, 2012 by Bayside, Glen Eira Greens. 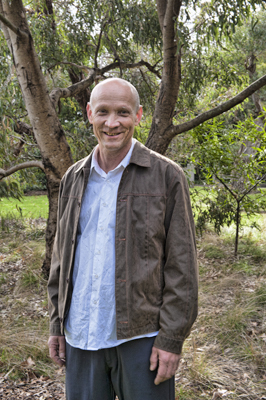 Bill Thomas is Head of Sustainable Practices at Bentleigh SC, and Prime Minister’s Environmentalist of the Year 2011. He has lead innovative and successful projects within the school to conserve water, reduce carbon emissions, and address waste, energy, vegetation, and biodiversity issues. The major environmental achievements of this government school have been recognised in World Environment Day Awards, and the Banksia Environment Awards. On our tour we will see why this school has become known within the community as an example of best practice in the area of sustainability. Why not come along for a meal afterwards? After the tour, join us for a reasonably-priced, vegetarian-friendly meal at a nearby cafe (venue to be announced once we know the numbers). A great chance to chat about what we have seen with other people interested in sustainability, and to meet fellow Greens supporters. Please indicate your interest in attending the dinner when booking your ticket, and we will inform you of the venue.